Mara Salvatrucha, best known as MS-13, is a transnational gang based in El Salvador. It has about 10,000 members in the United States. In recent years, immigration officials have arrested and deported dozens of MS-13 and rival 18th Street gang members from Massachusetts to El Salvador. Some arrests were made in Revere, East Boston, Lawrence and in an unsuspecting location for gang activity in this state: Nantucket Island. This article is part one of four-part series titled "The Gangs of Nantucket." His agency’s order in May of 2016 was to apprehend reported members of two notorious street gangs with roots in Central America and tentacles that extend throughout the U.S. They are also present on this resort island, which many regard as the summer paradise of the rich. Houses here sell for upwards of $25 million, and foreign laborers are needed to do the jobs the rich can’t or won’t. Resident Rodolfo Lemus runs down a list of jobs that are bringing immigrants here. 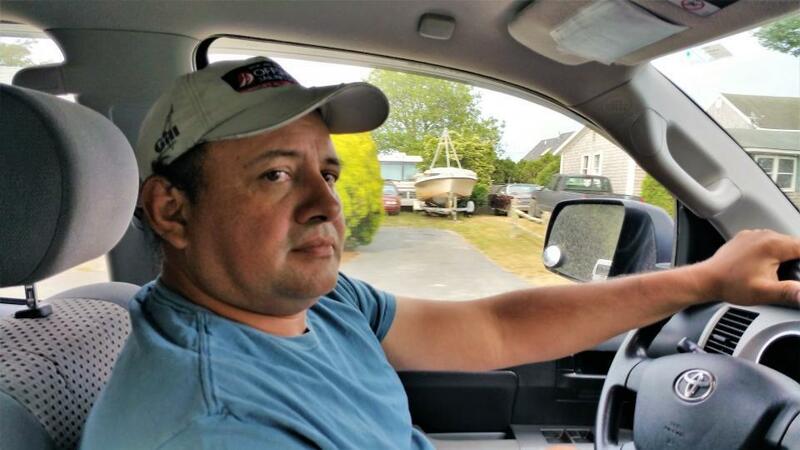 “Driving taxis, working in restaurants, painting.” Lemus does manual work of all kinds here on Nantucket, and has carved out a decent life for him and his family. “I lived here for 17 years, and I like it because it is nice and quiet,” he said. Rodolfo Lemus — now a U.S. citizen — arrived here from Agua Caliente, El Salvador. Today, it’s estimated that a little more than 3,000 Salvadorans have made their way to Nantucket, many escaping wide-spread gang violence in their home country. Rodolfo Lemus - now a US citizen - arrived here from Agua Caliente, El Salvador. Today, it is estimated that a little more than 3000 Salvadorans have made their way to Nantucket. Along with those seeking refuge have come small numbers of MS-13 cliques and its arch rival, 18th Street, also known as Barrio 18. Some of the island’s summer residents, like Hank Holliday — a wealthy South Carolina developer — are surprised to learn of a street gang presence on Nantucket, of all places. We talked on the Nantucket pier where yachts bobbed up and down on green-blue water. Holiday has owned a house on Nantucket for 50 years and thought he knew the island well. But many year-rounders, like a taxi driver who asked to remain anonymous, may know the island even better. Why are these gangs here? As Central Americans have moved here over the past few decades, MS-13 and 18th Street have seized an opportunity to extort fellow immigrants — many undocumented and afraid to go to the police. Gang-related drug trafficking is also a growing concern. That’s why on May 11th last year ICE was here on Nantucket. Henry Lemus Calderon was one of those targeted. His cell rang that morning on his way to school. His uncle was on the line. “My uncle told me the immigration want you,” said Calderon. ICE agents asked him to come down to the Nantucket police station. As Calderon told this story more than a year later in the custody of ICE, the chains around his ankles and wrists clanked. That day ICE picked up five young men. Four had been involved in the machete incident that the taxi driver had read about in the newspaper. Two suspected members of MS-13 had left the island days earlier. One hid out in Rhode Island, the other in Utah, according to a confidential informant who spoke exclusively to WGBH News. That afternoon, Calderon and the other four men were escorted by ICE agents onto a ferry to Hyannis. Zoila Gomez insisted that ICE and the Nantucket police erred in arresting Calderon as a gang member. "If you look at my client, and if you look at his background and the particularities of his person and the record, it just doesn’t add up," she said. Since the arrests in May 2016, some of the young men have been deported to El Salvador. Calderon is currently awaiting possible deportation.